Absolutely remarkable Stratton Hammon home originally designed for the Lemon family of Lemon's Jewelers. Truly one of his finest works, this stunning estate home features incredible millwork, fabulous entertaining areas and perfectly manicured grounds. The welcoming facade greets guests into the formal entry hall with dual staircase. Flanking the hall are the formal living and dining rooms - grand in scale, they are perfect for entertaining! Off the living room is the screened-in porch overlooking the gardens. The first floor also features a bright breakfast room as well as large kitchen, 3 car attached garage and powder room. The upstairs landing functions as a wonderful family room for the owners.The spacious master suite features dual master bathrooms, ample closet space and a fireplace. There are also two other large bedrooms and a jack and jill bathroom on this level. The third level boasts three bedrooms, one of which is being used as a family room, a full bathroom, a large cedar closet and plenty of additional storage space. A true highlight of this home is the rathskellar basement! The brick-floored lower level features a wet bar, stone fireplace, and leaded glass windows. There is also a craft room, laundry area and exercise room. The spectacular grounds are sure to please! The swimming pool and pool terrace are perfect for hot summer days, and the full tennis court is a highlight for any buyer. 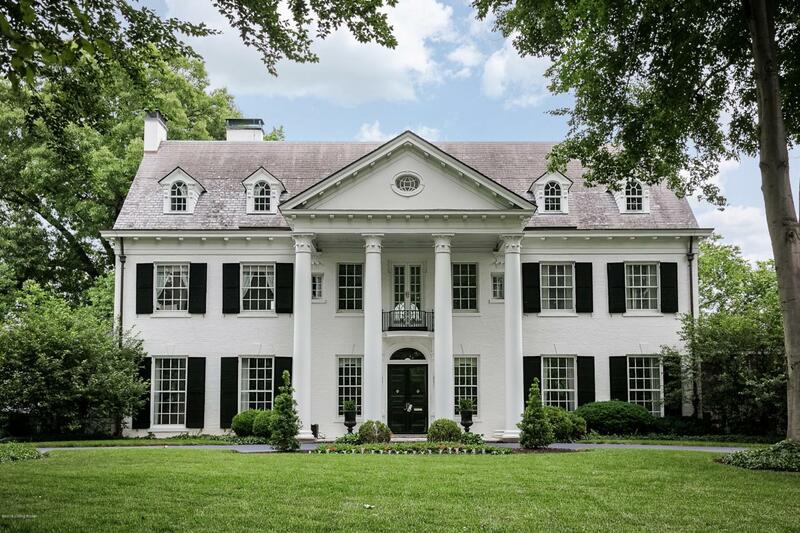 Impeccably maintained and restored, this is a rare opportunity to own a piece of Louisville history!